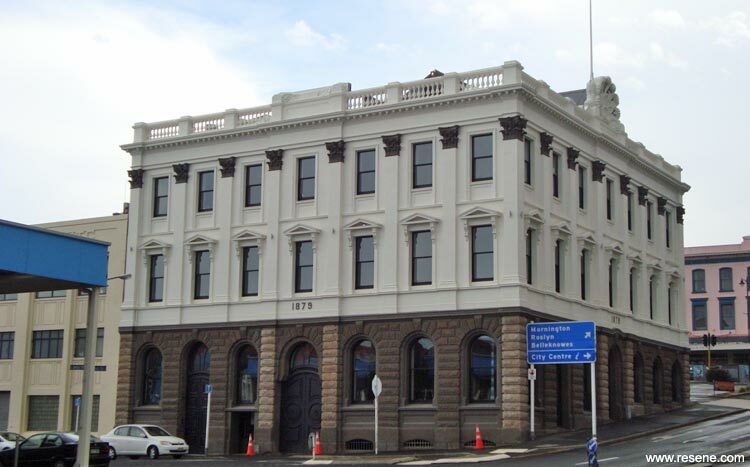 In early 2008 the historic 129 year old Stavely building in Dunedin was almost destroyed by fire. It was badly burnt, very dirty but the structure was mostly there except for the roof and some large holes in the floor. What remained was strong as it was initially built to carry 25,000 sacks of grain on the top floor. 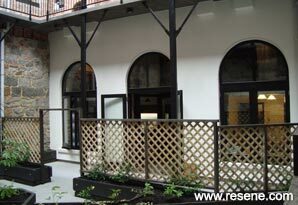 The building is registered as a Category 2 Historic Place and its facades protected under the district plan. Despite the damage its restoration didn't seem an insurmountable challenge. In 2010 Bruce and Tony Purvis purchased the building with a plan to use what was left of the building and create an interesting apartment complex with an internal courtyard in the corner area that was destroyed by the fire. They sought advice from Architect Michael Ovens to make sure the circulation spaces worked well and the atrium was the right size. In April 2011 Lee-Anne Flockton Design was asked to provide an exterior and interior colour scheme and specify all the products for the fit-out of the apartments. The first job was to come up with an exterior colour scheme as they needed to replace the roof and the colour scheme had to be approved by the Historic Places Trust. The recommended colour scheme was rendered onto the project using the Resene RenderRite service enabling all parties to see how the finish would look before the painting had started. The original plan was to paint the entire exterior surface but in July 2014 this all changed once the fit-out started as it was decided to return the stonework on the base of the building to its natural state. Steam/hot waterblasting took the existing paint off without damaging the stone. This forced a rethink of the exterior colour palette as it needed to work with the original stonework. After steam blasting, small sections of the stone were quite greyish in colour but some stone on the outer column beside the main entry door that had been covered over for years by a sign revealed a stone colour behind it that was quite brown and did not match the other stone patches. Nobody knew what the original stone was like as the building was only painted once in the 1960s. More steam blasting later it became clear that two stone colours were used, so a new paint colour was needed that would work with both. Resene Mondo was selected as the feature colour to tie in the two stone colours and it worked perfectly. Resene Quarter Spanish White in Resene Wintergrade Lumbersider was used for the majority of the exterior, which connected well to the lighter Resene Eighth Spanish White on the new plaster walls in the internal courtyard. Resene Black was used as the main accent colour with the bricks. The brick walls inside that were retained had burnt bricks amongst them so the black accent colour picked up the burnt aspects of the brick. The interior walls custom colour made by Resene was designed to complement Resene Eighth Spanish White but with a hint more grey so that it would work with the remainder of the fit-out. 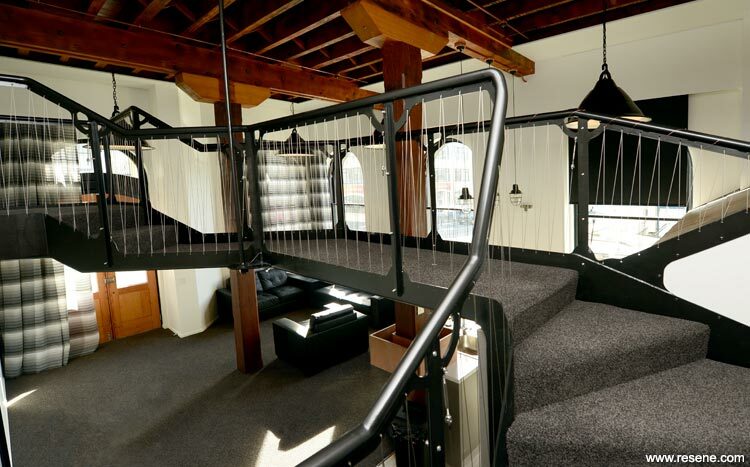 The Stavely building was the ‘Overall Winner’ of the 2014-2015 Dunedin Heritage Re-use Awards and was awarded an ‘Excellence’ in the Arrow International Multi Unit Residential Property Awards.